Planning how much you need to borrow for your home is the first thing you need to consider. Lay out your budget plan. What’s your purpose for the home loan? Do you want to buy a condominium, house and lot, or build your dream home? Through this, you’re able to calculate the total costs of getting a house. Take into consideration your gross monthly income, or if you’re married, add your other half’s total monthly income. This way you’ll be able to see how much you’re going to set aside for the monthly amortization. Sure, the leading banks are the most popular and most trusted when it comes to loans, but know that there are other banks out there who are just as reliable, and can even offer much lower interest rates and fees than the top 4 leading banks. Shop around for the best loan deals, call the banks if need be, so you know who has the most competitive rates and terms. The interest rates posted on the bank’s websites are not necessarily accurate so take the time to talk to your chosen banks’ loan processors in order get a clearer view of their loan package. When you’re done with the list of banks you want to apply for, take a look at their fees, interest rates, and payment terms. Use the bank’s home loan calculator. Most banks provide loan calculators on their websites so you can see the loan amount you can borrow by entering your gross monthly salary and intended loan amount. After you enter the necessary details, you’ll be able to see how much you’re going to pay on a monthly basis according to the loan term you chose. Most banks offer loan terms of up to twenty (20) years. It’s best to pay your loans right away to avoid paying bigger interests. Besides, if you can afford to pay bigger monthly amortizations through your income, it’s only apt that you pay the bank in the shortest possible time. This is not only convenient on your part, but you’ll also earn good credit record with the bank that granted you the loan. 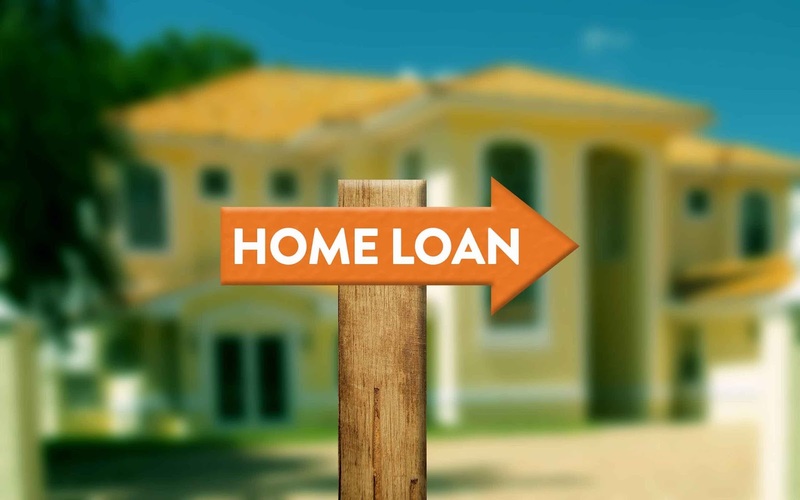 Lastly, in order to make the most of your home loan, consider the advantages that your home loan will bring. Find a house that’s closer to your office or business location so you save time, gas, or money whenever you go to work. If you’re only starting out with your other half, consider building a smaller home first, one that’s enough for the loan amount you want to borrow. You can always start the home expansion when you have enough money in the future. If you want to buy a condominium to have it rented out, consider areas that are close to the Central Business Districts or universities. It may cost more, but you’re less likely to run out of tenants because of the ideal location. Being extra prepared is always the best way to turn that loan to your advantage. As the adage goes, the devil is in the details. Miss one important factor on your plans and you can end up regretting to pay huge interest rates over a long period of time. Do your own research and think it through with your friends, family, or with the banks of your choice. You’re eventually going to reap the rewards of being extra careful, especially when it comes to important decisions such as your commitment to pay for a long term home loan. Even the smallest businesses need the sound advice of a good lawyer. It’s the type of administrative task that entrepreneurs often forget about at their peril. It almost seems pointless in the early days. But, before you know it, you’re company grows large, and the lawsuits come in thick and fast. It pays to protect your business finances from day one. Even if you’re a humble entrepreneur working from your bedroom, it’s worth consulting a professional. Here are just some of the reasons why your business needs a lawyer. Starting a company means registering with the tax man. If you’re pulling in earnings from the business, they need to be handled appropriately. Now, there are a few different ways of setting up a business. The first is a sole-trader. This is typically how a freelancer would structure his accounts. Secondly, there is the ‘partnership’ option if there are multiple founders. Finally, there is the ‘limited company’ option. Each have their own legal requirements and obligations. That’s why you need a lawyer to help choose the correct method. As a small business, you may not think that patents, trademarks, and copyrights are important yet. But, trust us, they are! A lot of bigger companies are starting to use their patents and copyrights to shut down smaller startups. This sort of action could break your business for good. Not only that, but your ideas are the most important thing you have as a young company. Make sure they are fiercely protected! As a small business, there are number of responsibilities that you must comply with. That means responsibility for every employee on your payroll. Small business employment law is a vital consideration when you’re setting up your company. You’ll need to draw up contracts, non-disclosure agreements, and terms and conditions. This paperwork must be watertight, and only a lawyer can ensure their quality. Business owners have a duty of care towards their staff. 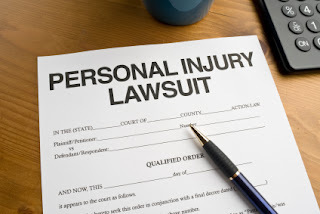 If any injuries or health conditions arise from working, you are liable for damages. It can result in costly lawsuits and extensive trials or settlements. The same goes for any customers or clients on your premises. Their health and safety is your concern. Any lawsuits here could cost your company thousands, and remove your focus from the job at hand. A good lawyer will introduce you to health and safety law, and make sure you comply at every level. A good business insurance package should come complete with indemnity cover. However, always check that it is included. If you’ve never heard of indemnity before, here are the simple facts. A lot of businesses provide advice and products that can be damaging to their clients and customers. Let’s say you’re a financial advisor. If you advise your client to invest in a stock that ultimately plummets, they could lose a small fortune. They could come after you for damages, as a result of your poor advice. If you’ve got indemnity, you’re protected against this claim. As you can imagine, it’s very complicated, and requires the input of a good lawyer! No matter what level your business is at, start to think about the legal consequences. 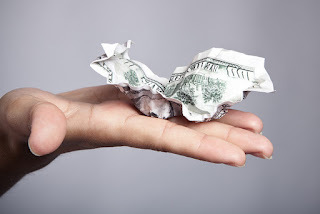 How can I keep my business finances under control? When first stepping out into the world of business, it can be easy to rush ahead with your various ideas. After all, you’ve filled your head with dreams about you are going to make the world better. However, most owners realise pretty soon that the key to business is money. The success of any business comes down to profit alone. Therefore, looking after your finances has to be considered a major priority. Here’s how you can ensure that yours stay under control. 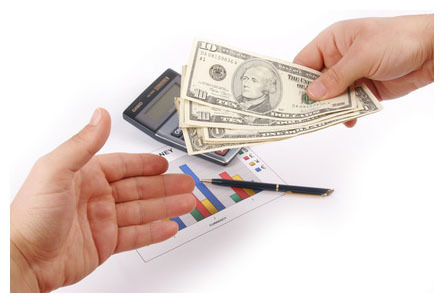 We’ve already established that finance is the most important aspect of the business. It is imperative that you have yours kept under control by the best person possible. Unfortunately, that person isn’t you. Experts at Accounting People are the much better solution. They’ll take away the stress of trying to keep track of things yourself. Meanwhile, their experience should bring financial savings too. More importantly, you can breathe a sigh of relief as you know these important documents have been filed correctly. Besides, it’s impossible to improve your financial situation if you don’t already know where you stand. Leave this crucial part of the business to pros. You’ll thank us in the long run. To get your business off the ground, you will need capital. Likewise, there are times when the company will require a cash injection to help it reach the next stage. Unfortunately, money doesn’t grow on trees, so you’ll probably need to borrow. When applying for a business loan, it can be easy to take the first accepted offer. However, if you’re serious about keeping your finances in great shape, it’s vital that you search for the best deal. Comparison websites can help filter through results quickly. Meanwhile, you should be sure to understand the terms to make a more educated decision. There’s nothing wrong with borrowing money to help the business grow. But be sure you’ve borrowed wisely. A truly successful business is constantly searching for new ways to grow. While it’s important to keep one eye looking forward, you shouldn’t forget what you’ve already got. If you can make the business more efficient, it’s a step that you cannot afford to miss. Your business goes through many expenses over the year, and little savings can soon add up to make a significant difference. Simple changes like switching energy providers or internet suppliers are all worthwhile. Moreover, you can lower staffing costs with ideas like offering work placements. This offers youngsters a chance to get their foot in the door while you get a much cheaper office junior. Don’t take advantage, though. Ensure that the experience is beneficial for the youngster too. Let’s face it, progressions in technology have improved the business world. We all use certain facilities on a daily basis. But are you getting the most out of these resources? Software like Skype can make communication a lot easier, reducing the need for costly and time-consuming travel. Meanwhile, social media marketing can allow you to build an audience without breaking the bank too. Moreover, mobile phone Apps can help keep the business organised and keep track of daily finances too. Squeeze more out of these resources, and your company is far more likely to enjoy a better financial health. If that isn’t enough to persuade you, we don’t know what will. Let’s face it, moving home is one of the strangest processes in life. There’s a concoction of different emotions running around your head. One of the most prominent is the fear that you’ll be committing financial mistakes. The pressure to get the best financial deal is very real. However, making the right decision doesn’t have to be difficult. With good organisation and the right plan of action, you’ll be just fine. Here are some great tips to help you along the way. 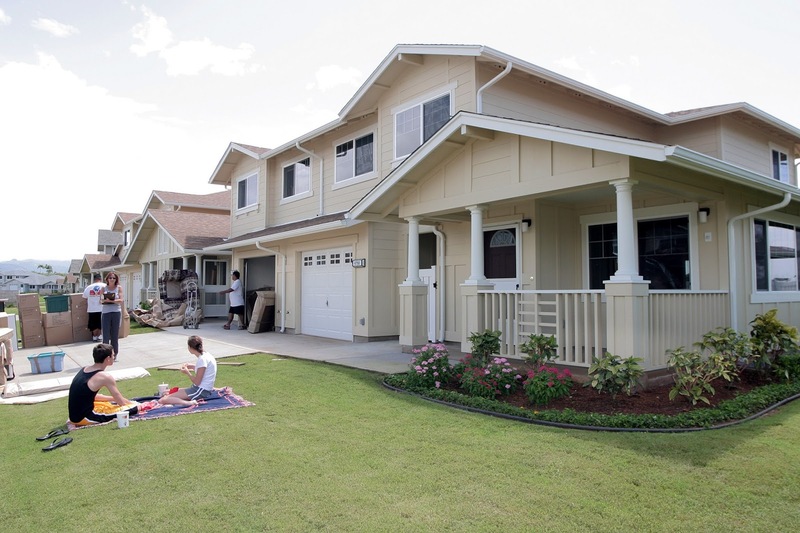 For most homeowners, moving into the new home hinges on the sale of the current one. Therefore, it’s imperative that you get a quick sale and for the best price available. There are many different routes you can take, but these tips should help you get the best value for the property. Better still, these methods should remove a lot of the associated stress. Believe us, there’s nothing worse than seeing your property sat on the market for months. This can delay the process of starting a new chapter. Besides, those marketing costs aren’t cheap. Knowing that you’ve sold the current property in the best manner will take a huge weight off of your shoulders. It will also serve as a fantastic foundation when buying a new home. First and foremost, you need to find a home that’s suitable for the family to live and grow. Nonetheless, staying within your budget is a must. Before doing anything, you must understand your finances. Nonetheless, getting the property for the best value is vital. Haggling isn’t an art that we get to use very often in today’s society. However, the housing market is one where you can still haggle a discount. For the sake of a few phone calls, it has to be worth a shout. More importantly, though, you must make sure the financial deal is as good as it can be. If you’re fortunate enough to buy cash, that’s great. For most people, through lending money is the only solution. It’s vital that you get the best deal available. You can ensure this happens quickly by using home loan comparisons. 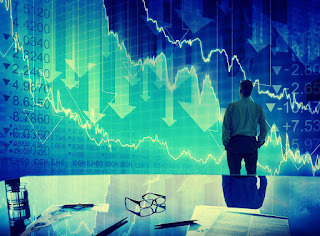 Visit https://www.tomorrowfinance.com.au for more information. This is a financial decision that will impact your life for years. Getting it right is a must. The price of selling and buying aren’t the only two fees to consider, though. The physical process of moving is expensive, especially if you leave it too late. The most important thing is that you start your preparations at the earliest stage possible. Booking van hires and other items early will give you more options while you can probably get an early bird rate too. Similarly, being organized could save you costs of changing dates and other aspects. You should also plan your services like energy providers and internet packages at the earliest stage possible. Keeping these items in the best order will reduce your living costs for a long time to come. This can be particularly important during the first few months of being in the new home. I just came across an article on Forbes, stating that cheap lawyers will cost a business money...fair enough. But considering how often the name of one particular firm was mentioned, I’m pretty sure it was written solely to advertise them. Besides, hiring a lawyer as a business and hiring one for an individual need are two completely different things. If you are hiring a lawyer to protect a business you probably have some money tucked away for that unforeseen problem. But the average individual doesn’t consider one day they’ll need legal representation. That’s because by law shows on TV and the media in general, we’re trained to relate lawyers to crime. When actually, there are many cases where you’ll need a lawyer when you haven’t committed a crime. How can you get the best value service for your budget in these situations? If you want to find a good lawyer at a low price I think you need to do a wide search. I know, that can be annoying and time consuming but if you use Legal Services Link, it’s easy. You can search by the type of lawyer you need, comparing prices and reviews of practises at the same time. All the reviews are verified so you won’t need to worry about people trying to create a fake perception of quality. Once you find a few that you like the sound of, get in touch with them and have a chat. It’s perfectly okay to ask a lawyer their rates straight off the bat, they won’t take offense. In fact they’ll be more than willing to divulge this information. They won’t want to waste their time on people who can’t afford their services. It’s a big choice and you might make the mistake of believing that lawyers that don’t belong to a firm are automatically cheaper. Don’t bet on it though and don’t make the mistake of thinking a firm will be the best quality service. It depends on what you are looking for. If you’re looking to get the word out and maybe pick up a few extra plaintiffs to make the case bigger, choose a firm. They’ll have the resources to push your case on to every newspaper and website they can. But, if you’re more interested in individual justice for a smaller case, try a private practise. They will be able to offer you a personalised service and match your needs. Of course, you might just want some legal advice. If you go to any lawyer, they’re probably going to charge you for the service. But there’s no need to do this because there are sites online run by professional lawyers where you can get advice for free. If they like your case, they might even take you on as a client at a budget price. Or, you might find out you don’t need legal representation after all. This is extremely beneficial if you just want to know where you stand on an issue. You see, cheap doesn’t necessarily mean bad when it comes to the law. If you need a lawyer on a budget, you can still get a quality service.